The Hotchkis TVS Stage I for the Gen 5 Camaro SS offers a lowered stance, dramatically improved handling and superior car control. Hotchkis engineers poured over track testing data and telemetry to develop a balanced handling system, comfortable enough for the street but well balanced enough for the occasional track day or a trip down your favorite twisty road. The drop in ride height lowers the center of gravity, the sway bars change the handling dynamics of your Camaro. To keep everything tight and eliminate unwanted travel, the sway bars include greaseable polyurethane bushings and mounts. 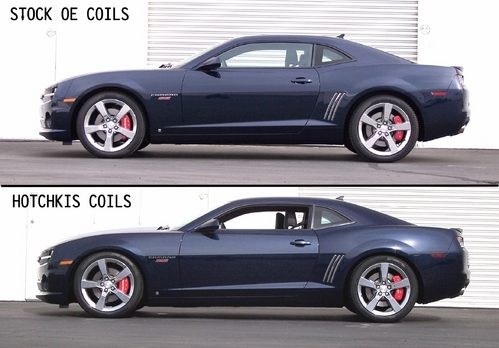 Give your Camaro a more aggressive stance with Hotchkis Sport Coil Spring for 2010-14 Camaro! Looking to give your Camaro a more aggressive stance? Look no further! ModBargains is pleased to offer Hotchkis Sport Springs, which lower your Camaro by 1" to provide that sleek stance you've been searching for. 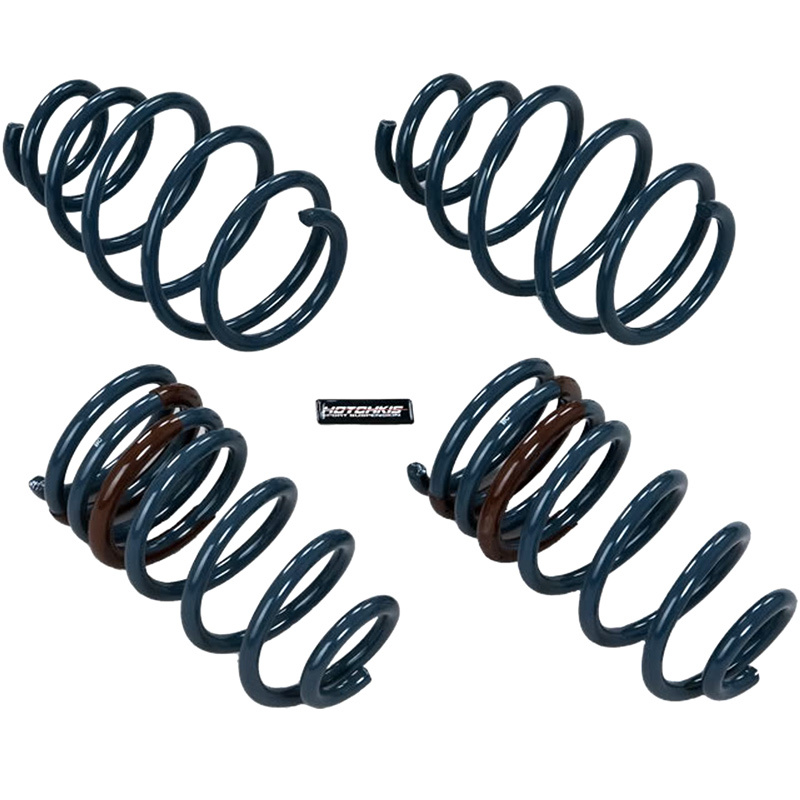 In addition to the aesthetic improvement, these springs offer dramatically improved handling and control, along with a sporty yet comfortable ride. Bolt-in installation requires no vehicle modification; designed to work with factory shocks/struts. For V6 and V8 models.